These days, there are so many places on the Internet where you can find sceners and stuff by sceners that there is definitely not a single scener in the world who knows all of them. This document is supposed to be a guide in this maze; it is supposed to list some of the most important web resources related to the demoscene. This is interesting for newbies as well as for some of the most experienced sceners and even veterans. It might show you some new aspects of that huge community called scene. Scene.org hosts the largest archive of PC scene stuff and also runs a news server. It is the central server of the entire demoscene and also hosts a lot of websites of demogroups and magazines (including Hugi). This is one of the most popular Internet resources of the demo scene. It is an archive with download links for thousands of productions. Every registered user is able to add comments on the productions. In addition there is a discussion board for general scene-related topics. A new website similar to pouet.net, with a production database that can be edited by any registered user and a discussion board. Read an article about it in this issue of Hugi. The C-64 Scene Database. The most comprehensive resource about the Commodore 64 demoscene. Amiga Demoscene Archive. A resource similar to CSDB, but focusing on the Commodore Amiga. Push'n'Pop, a website about the CPC demoscene. The CPC was an 8-bit home computer of the 1980s. There are still people actively developing demos for it. An online board which has forums, news, interviews and other articles from diskmags. A bit less accessible than pouet.net. A large collection of photos of sceners, mostly from demo parties. Here you can find out what demosceners look like and what they do at parties. A portal by Digitale Kultur e.V. from Germany, primarily designed for newcomers. It introduces the scene in general as well as a few parties and groups. PC Demoscene FAQ, written by Tomaes of TAP. Officially it is "old", but some of its contents still bear some relevance. A list of demoscene parties, updated on a regular basis. If you want to go to a party near your home and do not know the location of the party nearest to you, this is the page you should check out. The blog of Setsuko Hyodo, a demoscene enthusiast from Japan, in Japanese and English. Another demoscene-related blog, maintained by friol, with articles and interviews. A website that broadcasts videos of demoscene releases. Another website that broadcasts videos of demoscene releases. The website of the Moleman films. "Moleman 2: The Art of Algorithms" deals with the demoscene. The film features interviews with Hungarian sceners such as Gargaj and Ziona. Not an immediately demoscene-related page, but "the world's first open movie, made entirely with open source graphics software such as Blender, and with all production files freely available to use however you please, under a Creative Commons license". Austrian scene portal (kind of outdated). Russian scene portal. It has both a Russian and an English section. The two sections do not have the same contents. This is not a scene site, but a lot of artists affiliated with the demo scene have some of their artworks there. The unofficial successor of GFXzone, which was a website about demoscene art (now defunct). Nectarine Demoscene Radio, broadcasting music non-stop. There are also a lot of news about scene music. Another scene music site, maintained by Ziphoid. Read an article about it in this issue of Hugi. One of the largest chiptune archives in the world, maintained by Rez. Amiga Music Preservation, hosted by crown of cryptoburners. Iconoclash, the blog of Navis of ASD, one of the world's leading democoders. "direct to video", the blog of Smash of Fairlight, another one of the world's leading democoders. The website of iq of RGBA, another one of the world's leading democoders. The blog of Optimus of Dirty Minds, who is also a skilled democoder. The blog of hunta of Brain Control, another skilled democoder. A coding forum about C and related languages, and FreeBasic. States to be demoscene-related but the people there do not seem to be well-known sceners. A small skeleton for graphics with DirectX 10. Link submitted by Icebreaker, thanks! Website of Hugi, the magazine you're currently reading. The website of the ZINE diskmag, a very good scene-related magazine. It's pain in your eyes. Not issuing any more since 2008 but interesting for historical purposes. An online magazine about the demoscene, in German. Mostly for enthusiasts and newcomers. 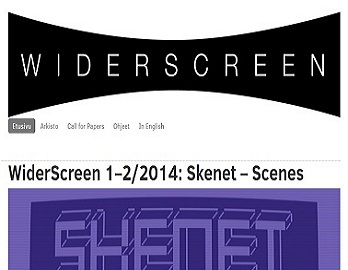 WiderScreen, a Finnish magazine that deals with computer culture and contains scientific publications dealing with the demoscene. Rhizome, a magazine dealing with computer art that occasionally features articles about the demoscene. The website of a (defunct) paper mag about the demoscene, machinima, VJ'ing and other branches of multimedia art. Website of WildMag, a diskmag in German language that issued at the beginning of the 21st century. Here you can find TAP.MAG, which was also a diskmag in German language. Official website of FREAX, the best-known book about the demoscene. Official website of the book "Demoscene: the art of real-time". Official website of the book "Kunst, Code und Maschine". Demoscene Research. Scientific material concerning the demo culture. If you have any comments or suggestions, please contact me.